St Albans Abbey (or Cathedral) is famous for its much visited shrine of St Alban, Britain’s first Christian martyr. Concerts, services and movie-making takes place in this massive attraction, which dominates the city. Romantic Russian music comes to St Albans Abbey on Saturday June 25th with performances of some of the most colourful and passionate scores ever composed for orchestra (7.30pm). This week is special for St Albans Abbey and Cathedral as an incredible 2,400 graduates from the University of Hertfordshire will be celebrating their acedemic success there. You live in St Albans, you are wondering what’s on to entertain you this month…..so we have listed a few of our top choices for you to choose from! Alban, the Opera, is now being performed in London. Last year, an ambitious new opera came to St Albans, premiering in the Abbey, the opera told the little known story of Alban himself, the first English martyr. After a sell out run, Alban the Opera is travelling to London for four nights only in October this year before heading to the US in 2011. Today Pope Benedict XVI has landed in Scotland for the first of a four day state visit to the UK. Although St Albans won't be graced by his presence, many local catholics are set to see him in London. We all know that Christmas is a magical time of year, everyone is more relaxed and full of good cheer. 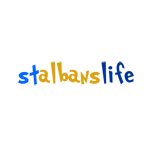 Well there are lots of things to see and do in St. Albans, so there's no excuse not to get out and enjoy a bit of stalbanslife! Alban is a two act community opera involving over 150 performers which has been commissioned by the St. Albans Cathedral Music Trust. It will be given five performances (including a matinee) in St. Albans Cathedral between May 20-24 2009, bringing together a wealth of local talent. Singers, actors, dancers and musicians of all ages drawn principally, though not exclusively, from parish and school choirs across Hertfordshire and Bedfordshire will join a core of experienced professional performers.